We are officially back in Texas and back in school. Which means back down to business. 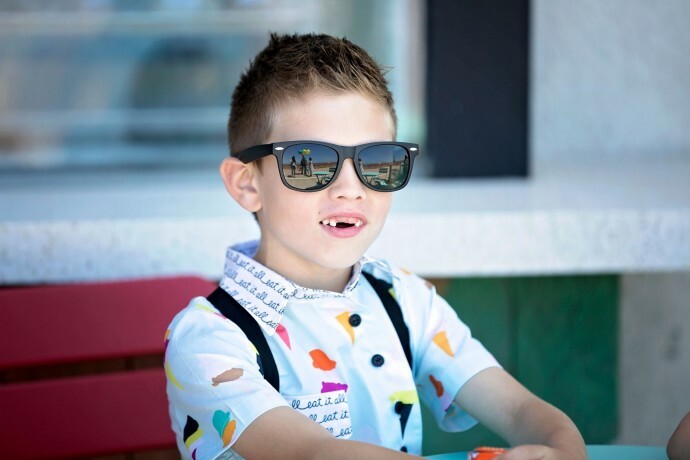 And it’s a good thing because this week (and last week) there are tons of great Boardwalk Delight projects to share with you! 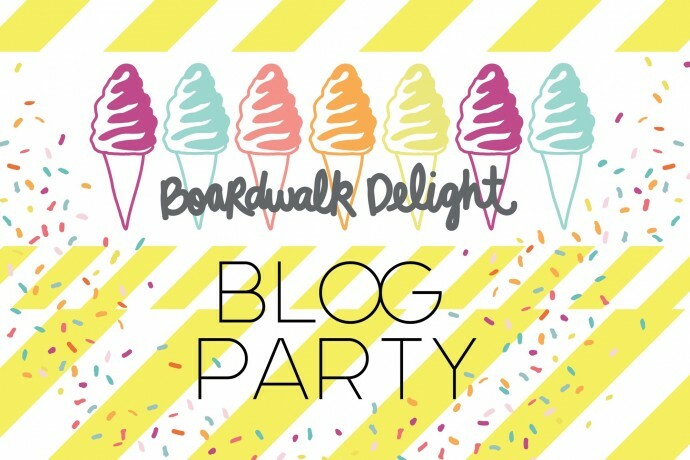 If you’re new around here, I’m hosting a Boardwalk Blog Party to celebrate the release of my first fabric collection with Art Gallery Fabrics called Boardwalk Delight. Throughout the month some of my favorite blogging friends and I will be sharing projects using these fabrics. 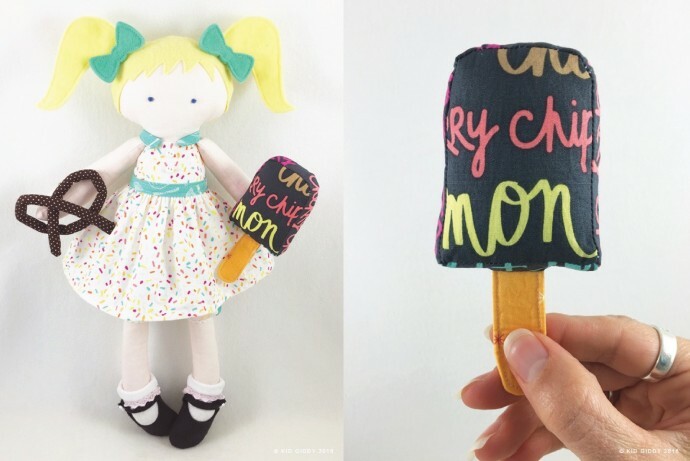 And right out of the gates….or the ice cream parlor?….is this darling doll by Kid Giddy. Ahhh! She’s so stinking cute! And I can’t handle the mini popsicle made from the Flavor of the Day fabric! Kerry is so great at the details. Her post even has a tutorial/tips for some of the clothing details (and maybe some shots of the tiny belly button), cause Kerry is just good like that. Head over to see more. Thank you Kid Giddy! 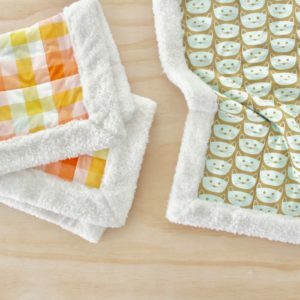 Next is the perfect end-of-summer project by Jessica of The Sewing Rabbit. It’s a Memory Quilt. And I just about died when she sent me this photo! Head over to The Sewing Rabbit for the tutorial. Next is a small tribute to one of my fabric prints in the group: Ice Cream Shop. It’s so simple, which is what I love, and captures all the colors of the collection. It reminds me of many mid-century tiled walls I’ve seen down by the beach and boardwalk. And I was so happy when a few friends asked to try out the print in the KNIT version. Yes! The collection has three prints in Knits. You can see them all here. 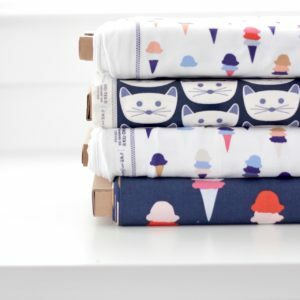 —And NOTE— You can purchase fabrics from this collection in a variety of online shops and etsy. Find a list of shops here. 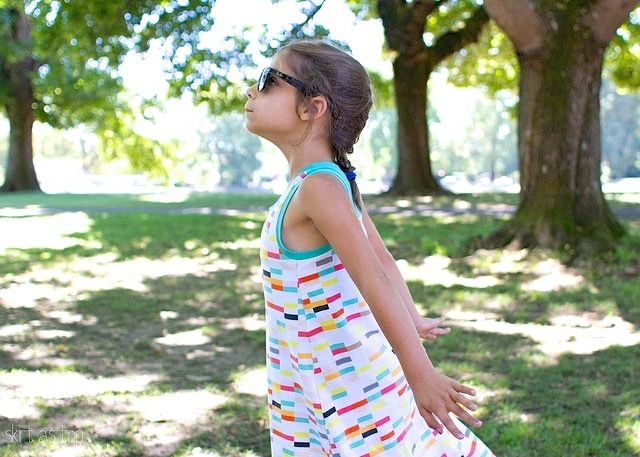 So with this super soft Art Gallery knit, Kristin from Skirt as Top made this darling maxi dress. Oh, I love Kristin. 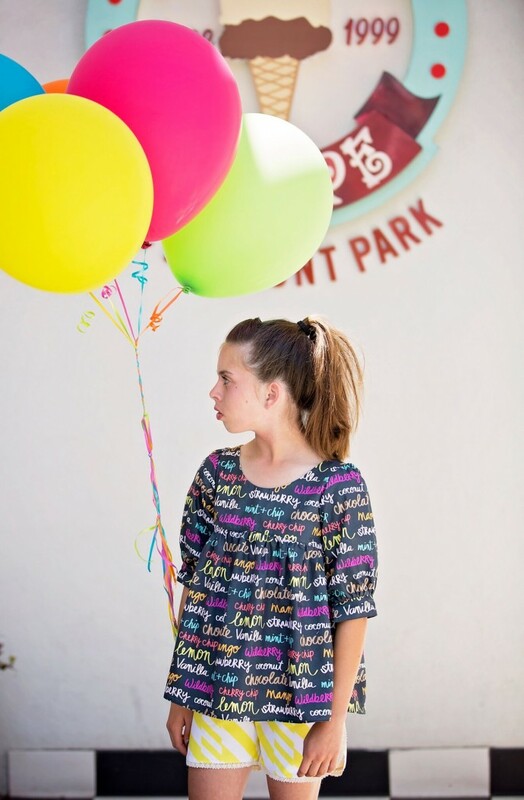 She’s just normal and cool….and makes such classic, cute, good clothes. You can always count on a homerun from her. I want this in my size! Head over to see more. And if that dress wasn’t enough, here’s another Ice Cream Shop take by Jessica of Craftiness is Not Optional. Love it! Again, simple, to the point, and perfect. That’s my kind of sewing! And adorable photos as usual! I got to room with Jessica at a blogging conference a few years ago and she is just fantastic. Also down-to-earth like Kristin. And I mean, look at these kids?! Too cute. Head over for more details. And I hate to keep saying “I just about died when she sent me these photos”….but seriously, do you not love this photo?? Melissa of Melly Sews said she was going to make something for her backyard patio, and then she sent this! 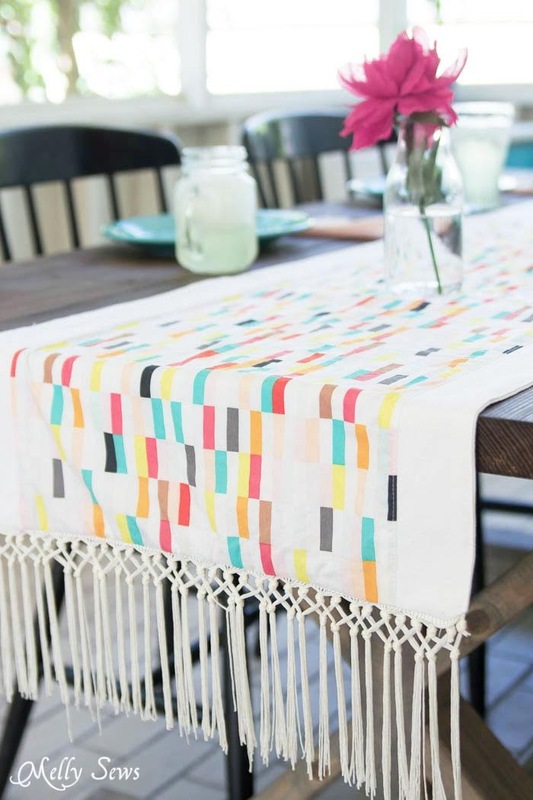 A Boho Fringe Table Runner. LOVE. It’s just so pretty! And cool and fun. Melissa is such a great part of this sewing community. She is database of information and makes awesome patterns. And she’s just fun to talk to. Head over to her blog for the details! And finally, I have to share a slew of photos from these two ladies: Alexis + Cassie. Because they saved my stressed out life this spring when I realized I had to prepare a quilt market booth and make/take photos for the Boardwalk Delight Lookbook. Alexis of My Sweet Sunshine and Cassie of Little Lizard King are both pattern designers, amazing sewers, and well, awesome photographers and ice cream wranglers as well. 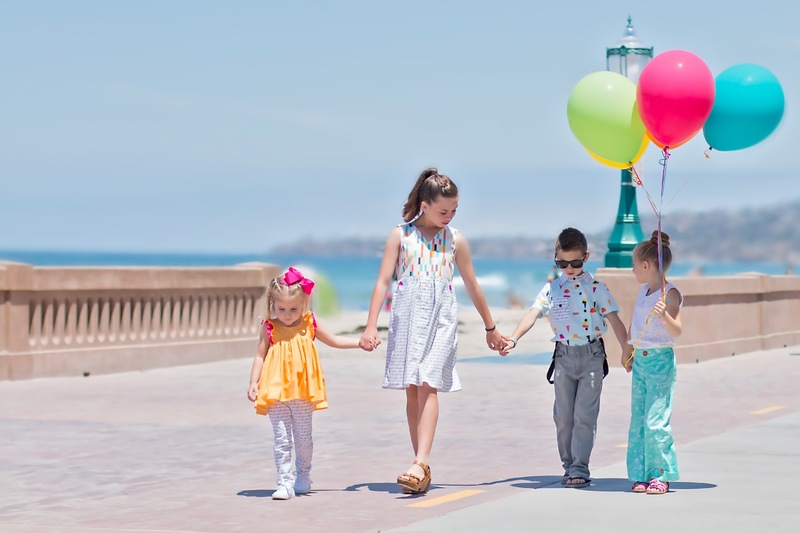 When I needed help, the two of them jumped in and said they each wanted to sew a few outfits…and that they had a San Diego location in mind for photos, etc. They totally nailed it! Many fantastic photos in the Lookbook are by these two. You can see Alexis’s creations on her site here. I love seeing what she sews for her daughter Taylor, who is one year older than Lucy, cause it gives me a glimpse of what’s coming. Looks like KID Shorts still work! Such beautiful kids. And that toothless grin on her son is hard to beat! But so are these sweet faces. I LOVE these two outfits on Cassie’s girls. I mean she had me at Eat-it-All skinny pants….but then she also threw in this Clara Top which is so crazy cute! And it’s called Clara! I have to love it. You can find links to all of these patterns in the Look Book. 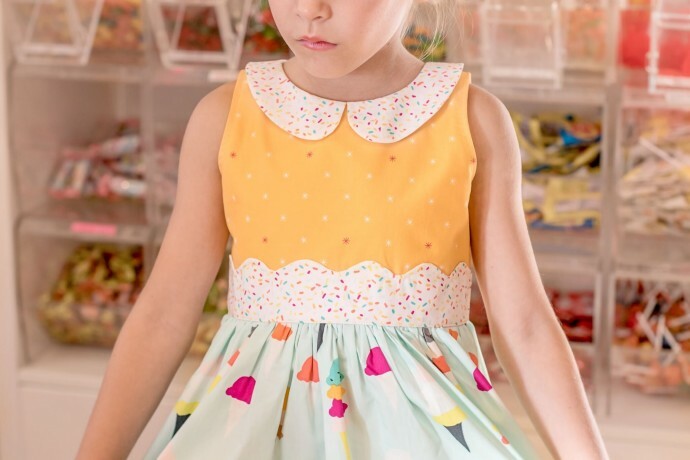 To add the cherry on top, Cassie just released a new pattern called the Double Scoop Dress and Top using all Boardwalk Delight Fabrics for the photos and inspiration! There are many fun variations of this dress. So head over for all the details! Annnnnd. That’s a candy shop wrap for now. Thank you ladies for making so many fun things! I’ll be sharing photos on instagram as well….you can find me @made_everyday. 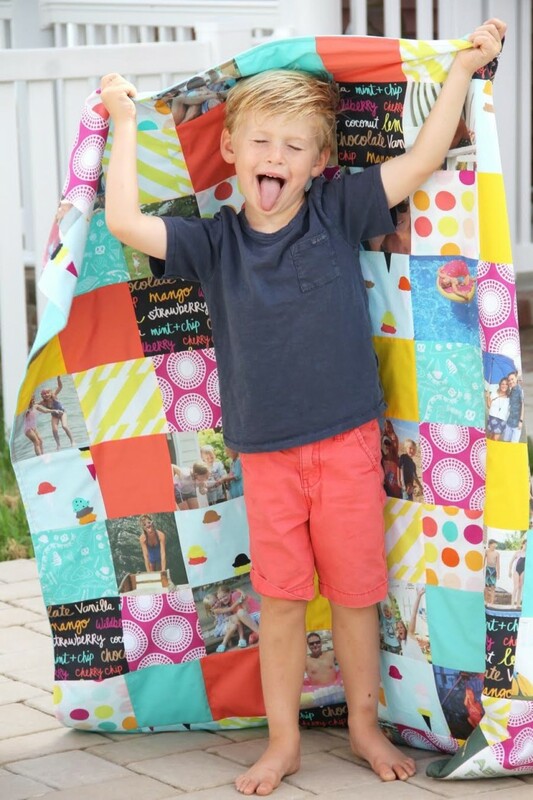 And tag your photos with #boardwalkdelightfabrics. Read more about Boardwalk Delight here. Find stores that carry Boardwalk Delight here. Watch the Boardwalk Delight video here. 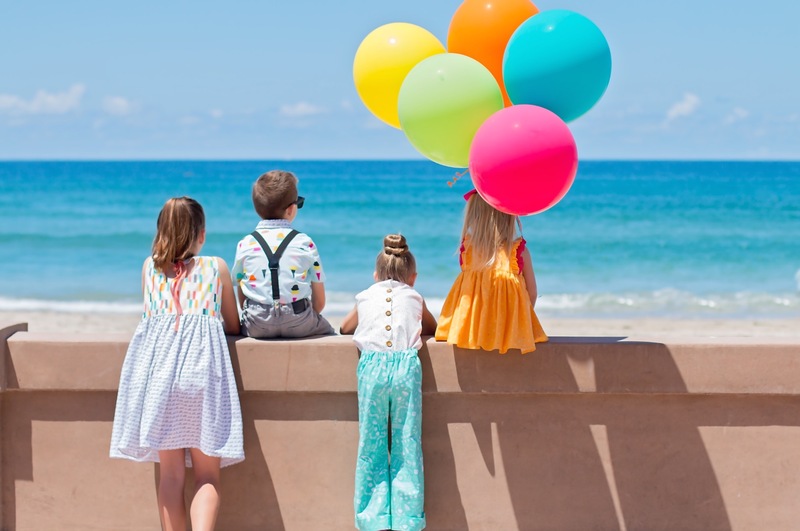 It’s no surprise we love Boardwalk delight fabrics!!! 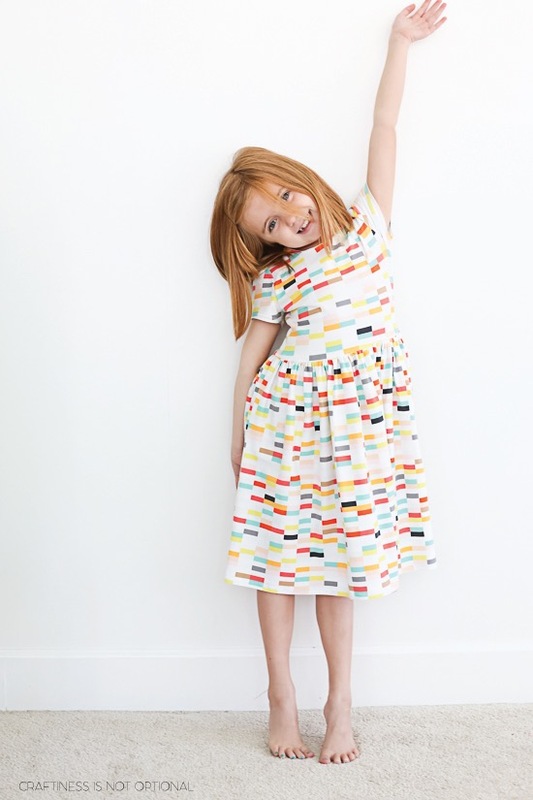 Thanks for letting us sew with your incredible prints! I think I need to hoard some and bring them out next summer. 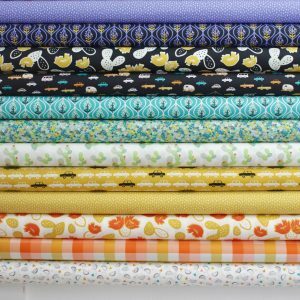 The fabric is summer!!!! I cannot be more excited to sew with your first fabric line!! Love this fabric Dana. I’ve made the boardwalk delight leggings for my daughter and she loves them. 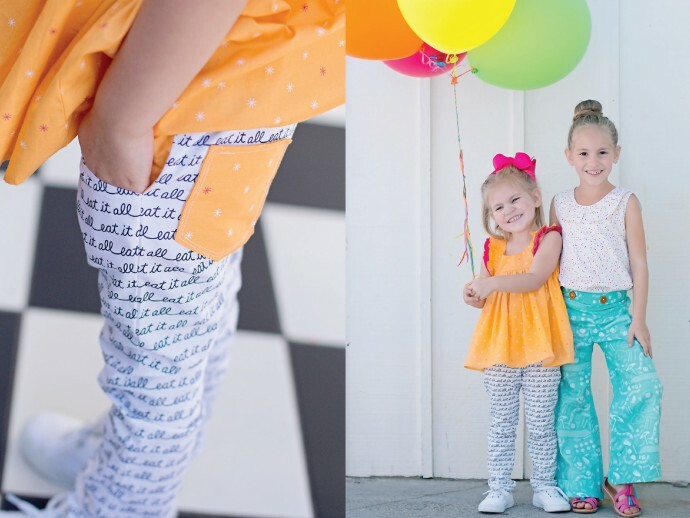 Would love the deets on the adorable turquoise sailor pants.